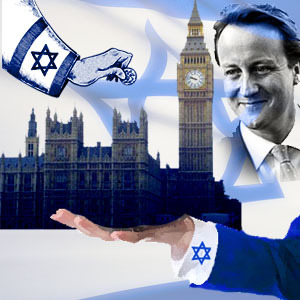 Following Peter Oborne’s exposure of Britain's Jewish Lobby, some interesting graphic images are emerging. 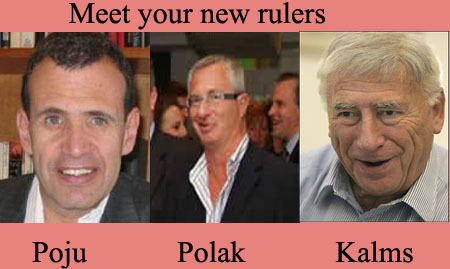 As always, the Zionist sites are the place to find them. The one on the Left can be found on the rabid Zionist CST Blog. The CST (The Community Security Trust) is there to 'protect the Jewish community'. As it seems, they also invest some effort protecting the rest of the British People. This one is also found on their blog. It refers to an article that was initially posted on indymedia.org.uk under the title “Your unelected leaders”. The idea is good, I myself do not like the pink. However the panthers look friendly (to British politicians at least). Harry's Place are not too original unfortunately. They recycle the old image of The Protocols of the Learned Elders of Zion. They are obviously misleading themselves and their readers. Peter Oborne’s program was an expose. He presented the names, the numbers and the locations. At the end of the program Oborne reassured us all “we haven’t found anything resembling a conspiracy”. Indeed they are doing it all in the open. In case you find any interesting relevant imagery please notify me so I add it to the emerging gallery of Zionised Britain.